Tucked away in a small center near Hoover High School on El Cajon Blvd is Paris Bakery. It’s not full of fancy eclairs or madeleines, but what they do have is freshly baked baguettes, raisin sweet rolls and croissants. 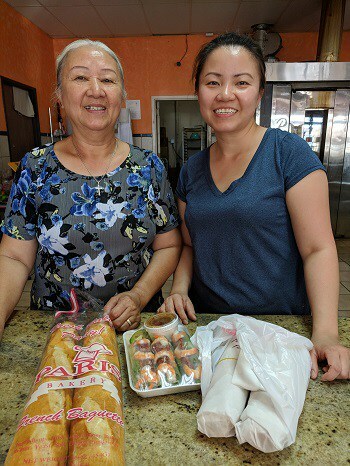 Hong Nguyen and daughter Khanh Le open the shop at 5am and early risers buy croissants and Banh Mi sandwiches. Then many of San Diego’s restaurants start loading up fresh baguettes and sandwich rolls to serve their customers. They are proud of making it all, even the Mayo from scratch. Crumbs from crusty bread is the sign of perfectly baked bread! 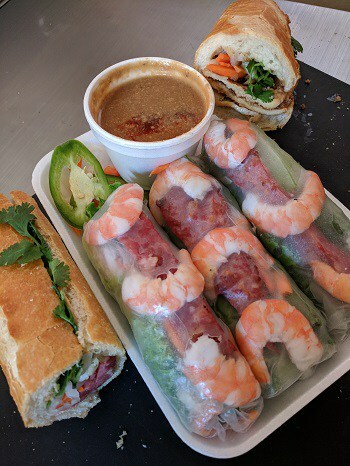 For old times sake, my brother and I drove around 54th and El Cajon Blvd where our grandparents had lived and found Su Pan Bakery at 50th and El Cajon Blvd. 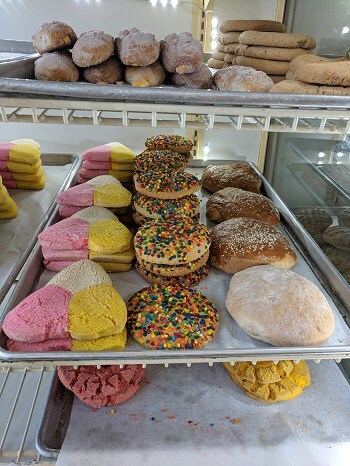 The bakery is full of Mexican pastries, pan dulce, cakes and fresh bread. 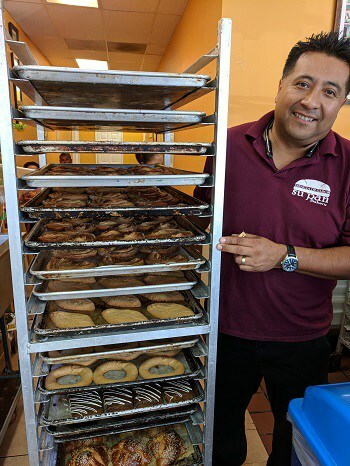 Owner Domingo told me his family has been in the bakery business for many years and seems it’s their labor of love. There is another location in San Marcos and I’ll be back soon for a torta sandwich and a slice of tres leches cake.